This quote reflects the vulnerability and unselfishness of mothers as they nurture, teach and love their children and give so much of themselves to the endeavor. The same quote could almost be applied to the sport of triathlon, “to be a triathlete is to forever have your heart walk around outside your body.” Though the comparison is not exactly equal, the two endeavors are linked by shared attributes such as passion, love and a constant desire to become better than before. 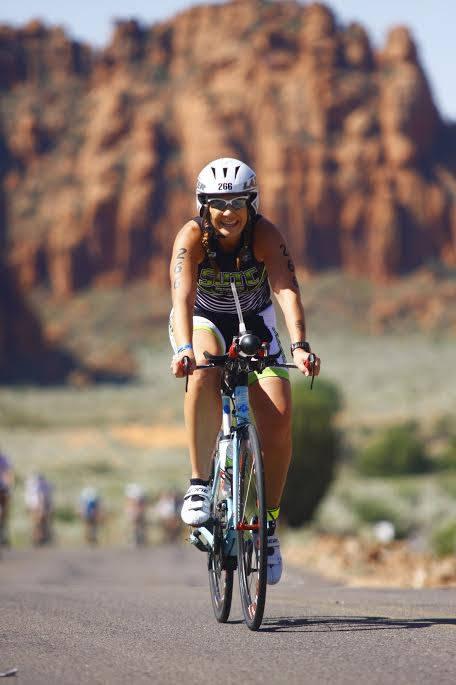 With the Ironman 70.3 St. George taking place across Washington County Saturday and Mother’s Day being observed Sunday, St. George News would like to take this opportunity to share the stories of two women who manage to balance their love for their families with their passion for triathlon, Tiffany Gust and Tara Snow. 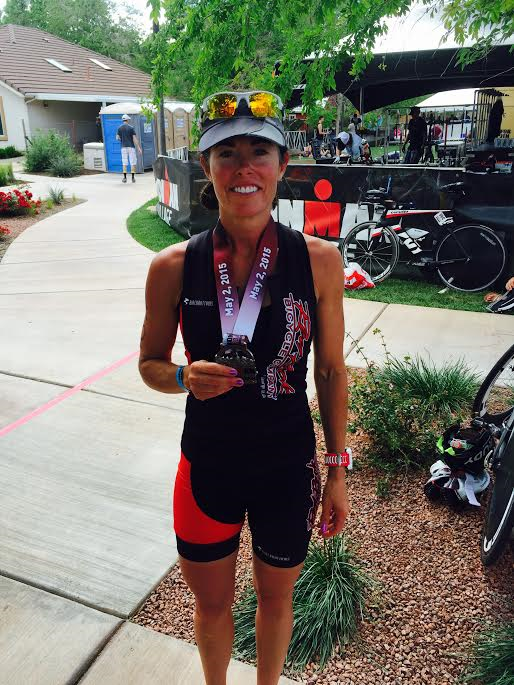 Tiffany Gust is a wife, mother of three, exercise physiologist, owner of TG Triathlon and Fitness coaching and multi-time Ironman and Ironman 70.3 finisher. Fitness is definitely a passion for Gust, who is a USA Triathlon certified coach as well as a certified personal trainer and group fitness instructor. She is equally passionate about being fit as she is about sharing a healthy lifestyle with her clients, her friends and especially her family. 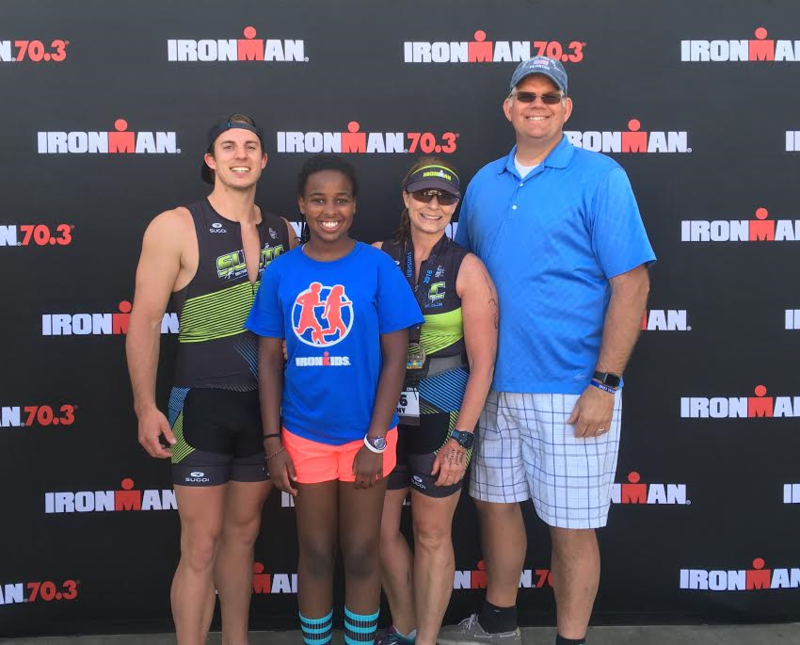 But how do you create balance between the time and energy it takes to compete at a high level in races like the Ironman triathlon and the dedication and energy it takes to raise a family? Gust’s three children — Colton, 24; Bailey, 19, and Alexis, 13 — are used to their mom being a triathlete; in fact, triathlon is intricately woven into the creation and raising of her family. 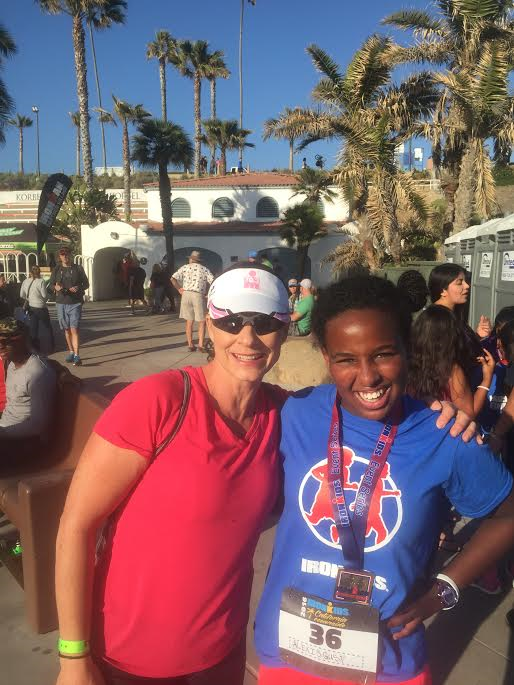 Alexis was adopted from Ethiopia, and Gust said it was during the adoption process that she took up triathlon training as a way to combat stress. “It was the best therapy,” she said. 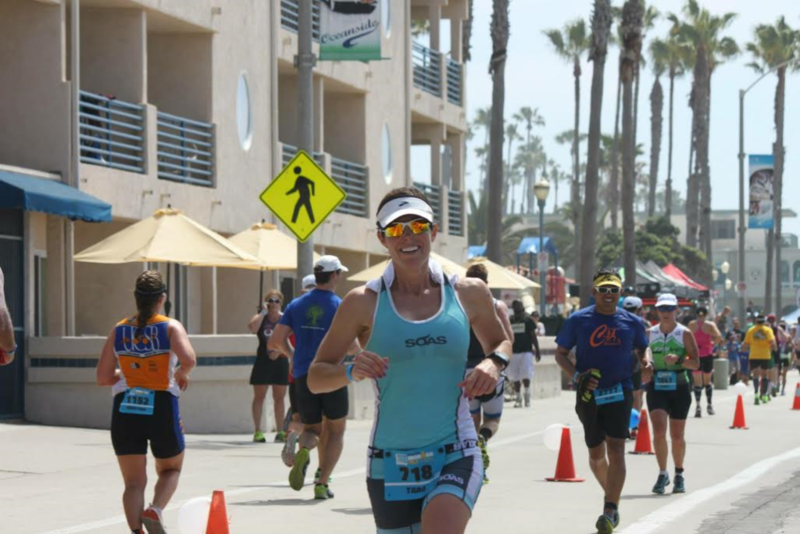 Beyond therapy, Gust also looks at competing in endurance sports as a way to set an example to her kids that they too can accomplish hard things. It is an example that her oldest, Colton, has really taken to heart. If I had one word to describe my mom, it would be “hero.” In my mind, there is nothing she can’t do. By looking at her example, she has given me a pattern of how I can live my own life — setting goals, having a vision and being able to carry it out. Even though there were trials, we can look back and see how far we have come. I wouldn’t have that drive or that vision without having have seen her do it first. 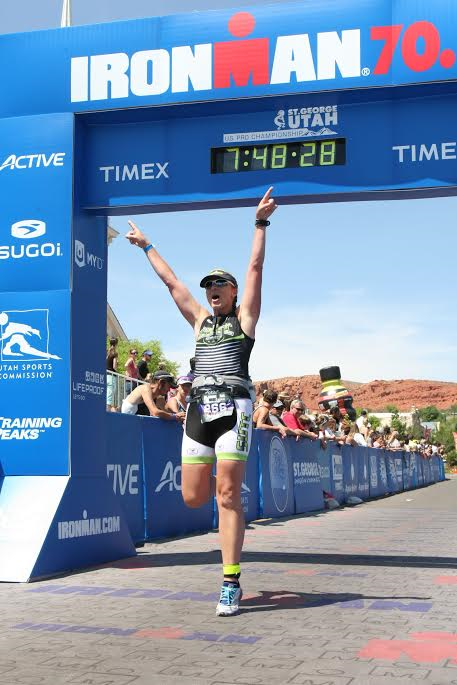 Colton will be competing in his first triathlon this year, joining his mom on the Ironman 70.3 St. George course. Colton has really enjoyed the experience of training for the race with his mom, he said, and has learned a lot of lessons about perseverance, dedication and the ability to set goals and accomplish them both in and out of sports. The mother/son duo will have separate swim start times, so they won’t technically be racing together, although Colton — who describes the swim discipline as his weakest — said that it is possible his mother will catch up to him in the water. Tiffany Gust is certain her younger, speedier son will do just fine, and the pair are very supportive of each other’s race goals. Tara Snow is a mother of five. Her children range in ages from 18 all the way down to 4. It would be easy to say she has enough on her plate without adding triathlon into the mix, but Snow has a mindset for her life that helps her to maintain balance. “If you have that mindset that your family’s first, then it’ll all work out,” she said. Snow’s family recently got a lot bigger. In March, Snow remarried, and her husband, Heath Snow, has five children from a previous marriage. Together, the couple has blended their families, and though one of Heath’s children is currently serving a two-year mission for The Church of Jesus Christ of Latter-day Saints and they each share custody with their respective former spouses, on any given weekend, they can have a very full house. “We are a very, very happy blended family,” Tara Snow said. Heath Snow said Tara is also a very, very elite amateur triathlete, adding that she has the level of athleticism to where she could probably have her pro card. 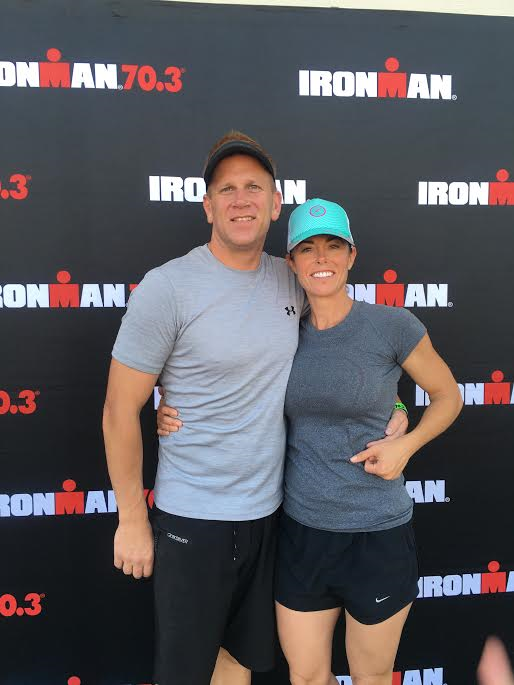 Heath Snow knew Tara as a triathlete first and said that knowing of her prowess as a triathlete, he had mistakenly assumed that maybe she didn’t have her priorities straight as a mother. He said he soon learned that she does everything she has to do in order to make sure she is there for her kids, including training in the early hours of the morning, while her kids are in school or even just a couple hours on an indoor bike trainer so she can be near her kids. “Definitely for Tara, her kids come first,” Heath Snow said. 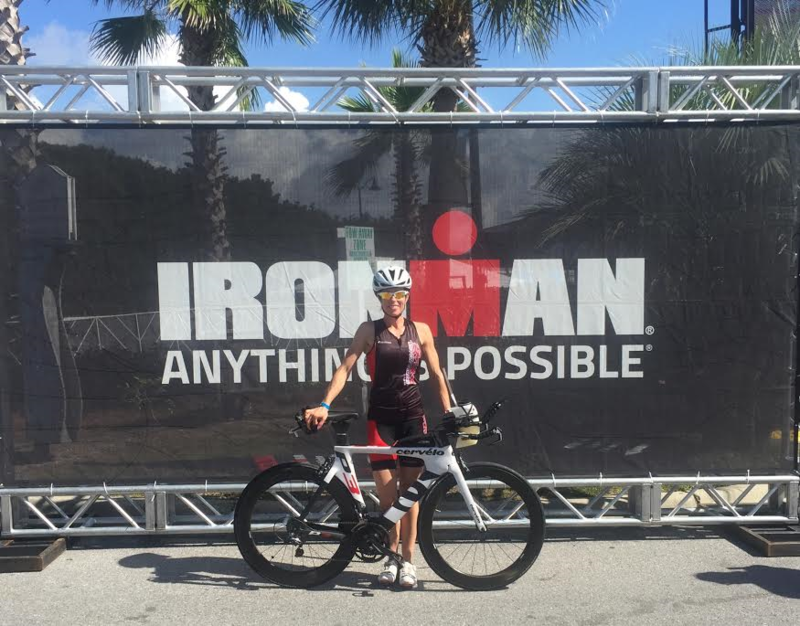 That she can find a way to balance family life with triathlon training has impressed more than just Tara Snow’s husband. Similarly to Tiffany Gust, Tara Snow wants to set a positive example to her children that they can do things that are seemingly impossible. And do them well. 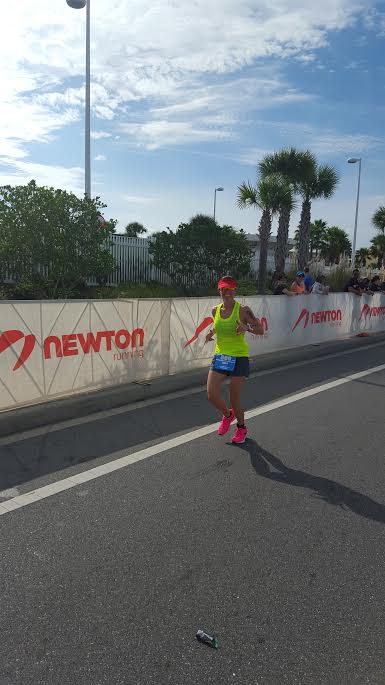 Her children like to come see her at the finish line, Heath Snow said, and she wants them to see her there, to see her accomplish hard things. “She is the Ironmom,” Heath Snow said. Heath Snow is also a triathlete and said he has loved training with his wife. The duo does about 80 percent of their training together, and Heath Snow described it as the best way to get together and talk about anything and everything. “We always joke that we don’t have date nights, we have date mornings,” Heath Snow said. The couple will both be participating in the Ironman 70.3 St. George Saturday, though Heath Snow was quick to point out that it will likely be Tara waiting for him at the finish line to give him a hug. 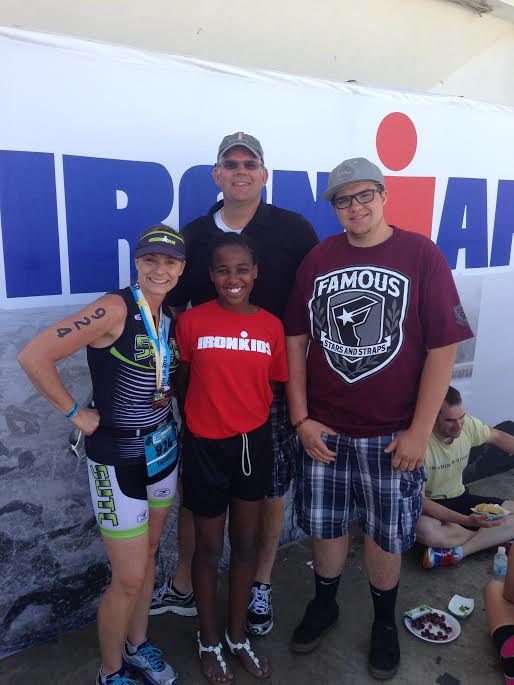 Tara, thank you, thank you for being the mother, wife and triathlete you are. Your consistency, kindness, drive and determination inspire me. This article physically makes me sick inside. If you only knew the amount of families that Tara Morris/Snow has turned upside down and ruined you would not have her represent such a wonderful town and sport. I know personally that her kids do not come first. I have known the family for 11 years and have seen her children raise themselves. I find it so difficult to hear the comment “If you have that mindset that your family’s first, then it’ll all work out”. If this comment were true then why have so many families been damaged including her own and all the many children involved. What appears to be such a happy life has devastated and ruined so many others. It makes me sad inside to see this celebrated. I’ve been out of town for a while and recently heard about this article and the attacks on Tara. Mormon or not it’s just not right to attack someone for things you think you know about them. It’s always best to look into our own back yards and begin working there. Attacking someone brings hate, sick stomachs and never allows the good to come forth from those who are attacking. We all have made mistakes and decisions that others may judge terribly. St. George is an awesome community and we all need to support positively our events and everyone who lives here. I’m so happy to see this tribute to women who do so much. Congratulations to all the mothers who strive everyday to work, love, play and improve themselves. You make St. George a great place to live.